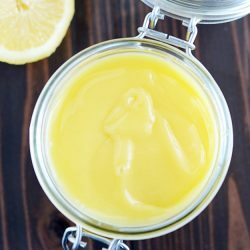 Four simple ingredients and 10 minutes at the stove is all that stands between you and this creamy, dreamy homemade lemon curd! You guys. Is there seriously a less appetizing word out there than CURD? I mean, really. ???? But rest assured, for a word that so closely resembles curdled and cheese curds, this dreamy lemon dessert is nothing of the sort. 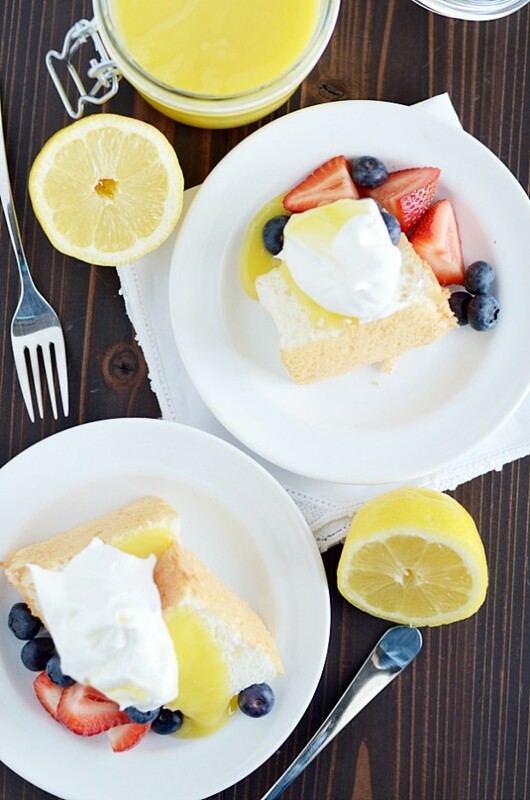 If lemon is your thang and you’ve already made Ina’s Lemon Bars, Lemon Poke Cake, Lemon Berry Scones, Lemon Blueberry Sweet Rolls, and Lemon Poppyseed Banana Bread… then it is time to make your own lemon curd, my friends. 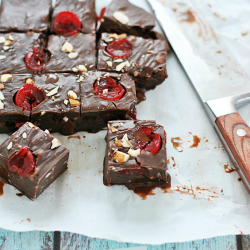 Now, a lot of recipes will have you making this over a double boiler. This supposedly prevents any egg lumps in the mixture. I don’t own a double boiler, and frankly, I don’t have room for anything else in the pots and pans and bowl department in my little kitchen. So, I didn’t use a double boiler. I cooked my curd over medium-high heat and stirred it constantly (just like you would have to do with a double boiler anyway). I did end up with a few little lumps, but nothing that wasn’t easily strained through a small sieve. I feel like I’ve read a million times, “no straining required!” “no sieve needed!” like it’s such a hassle to strain the curd. But really, it’s just not a big deal at all. Pour the mixture through the sieve over the container you plan to store it in. The curd passes through, and the lumps stay out. Easy peasy. And you can buy a small sieve for less than ten bucks at any superstore. Seriously. Just buy the sieve. Use it. Save yourself a headache. It’s not a big deal. 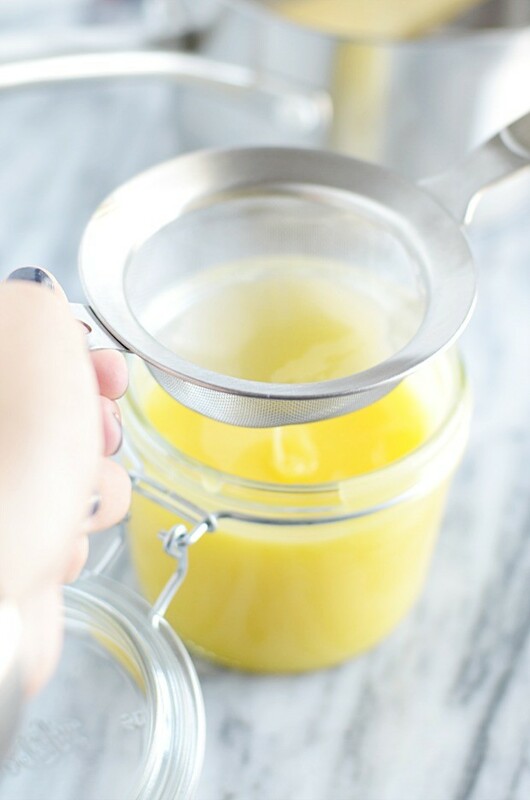 And it makes this process so much easier and keeps that lemon curd smooth and creamy! 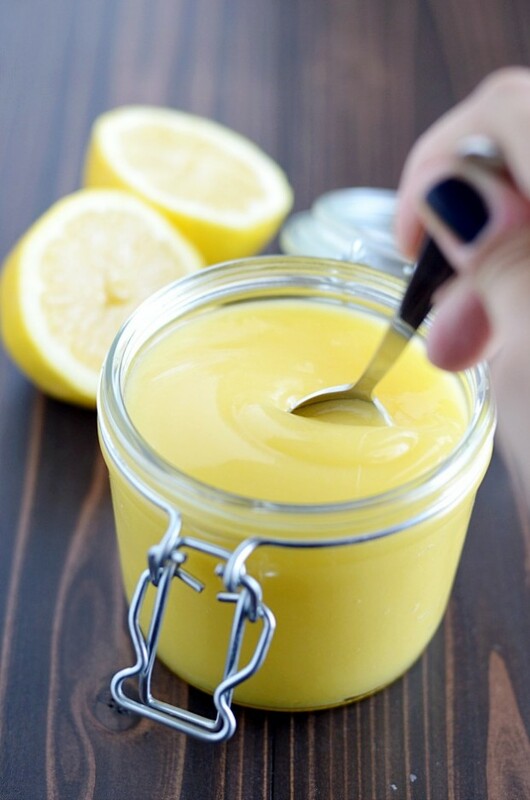 Ok, so now that we’ve talked about how to make it… what exactly is lemon curd? And how do you use it?? 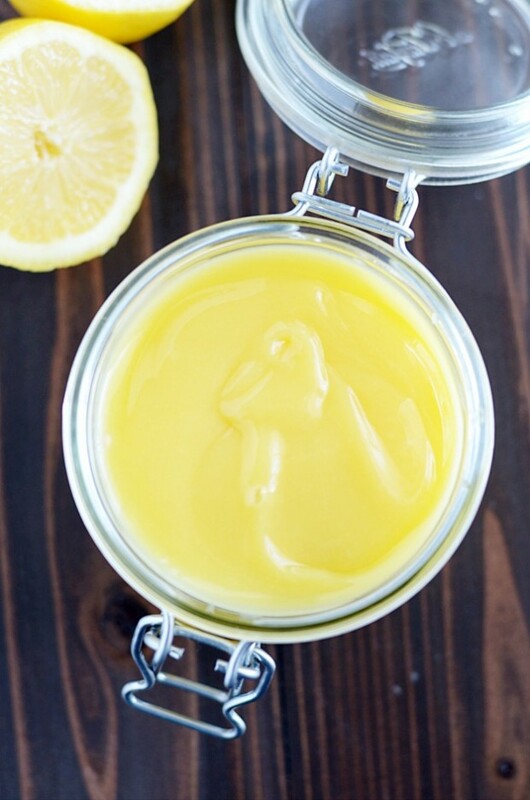 Lemon curd is sort of like the filling in a lemon meringue pie. It’s sweet and tart and creamy. And what to use it on? How about everything. 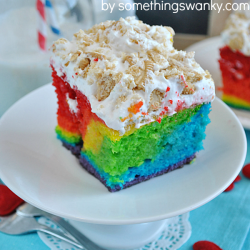 Mix it with granola and yogurt. 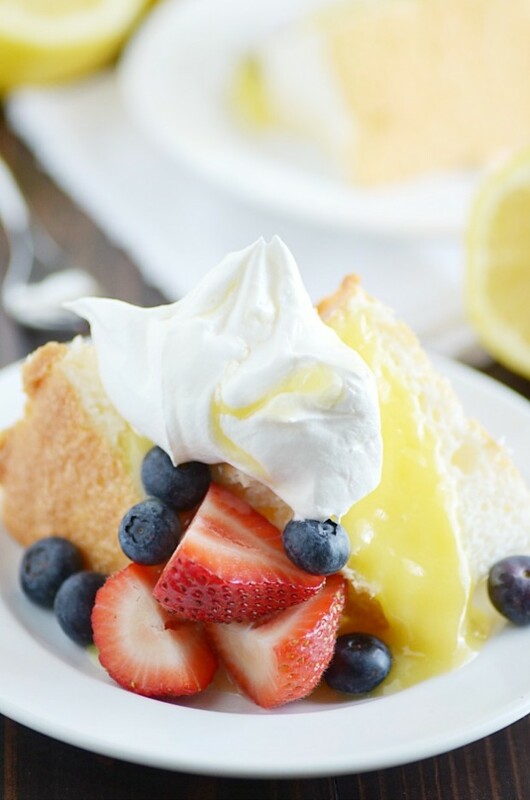 Or, my personal favorite, serve spoon it over angel food cake and top with berries and whipped cream! 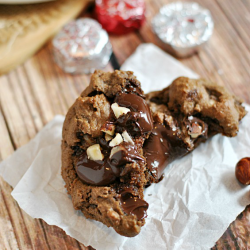 This is such a yummy summertime treat. And the berries compliment the sweet of the curd, while the whipped cream balances the tart, and the cake soaks it all up. 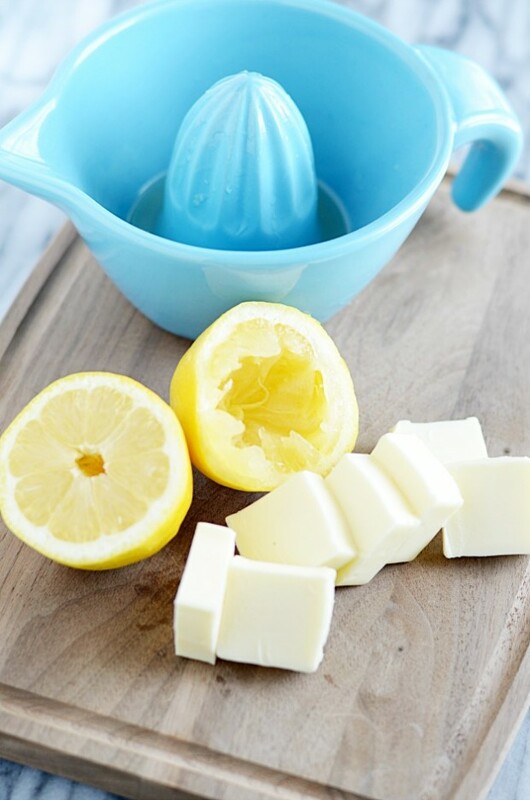 In a medium saucepan with NO heat, whisk together the sugar, lemon juice, and egg yolks until smooth. Turn the heat to medium-high and stir constantly for 10 minutes until mixture begins to noticeably thicken. Remove from heat. Mix in the butter and continue to stir until completely melted. Strain mixture through the sieve into a jar. Cover and chill for at least 4 hours or until cold all the way through.